DuPont's technology has been licensed by a major Asian manufacturer though they haven't yet said who. Not so long ago, OLED technology was the dream that got us excited about every CES, but it never really came to fruition and the excitement seems to have waned. It might be time to get psyched again though, as large screen AMOLEDs appear to be on the way. DuPont, the folks behind AMOLED technologies, signed a licensing agreement allowing "a leading Asian manufacturer of AMOLED display products" to use the technology in large television displays. The manufacturer, of course, could be practically anyone, given the vague description. 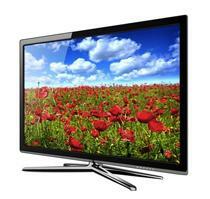 "AMOLED televisions clearly represent the future," says DuPont president David B. Miller. "They are preferred by consumers for their superior performance, they are more energy efficient and the process technology we're licensing allows them to be manufactured much more cost effectively." There's no word of when we'll see something go into production, but this seems like a positive sign of things to come.